Kangana Ranaut is one versatile actress. Leaving aside her controversial personal life, which have caused problems for the actress, her professional life is going smooth and the audience are appreciating the kind of films Kangana is starring in. 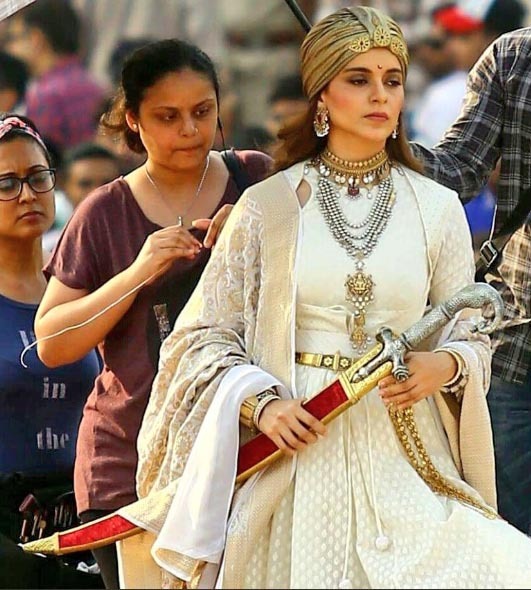 Currently, Kangana is shooting for her upcoming period drama 'Manikarnika: The Queen of Jhansi'. And looking at the pictures looks like Kangana will ace the role. Dressed in a white and gold suite, Kangana defines Royalty. Talking about the film it is on the floors now. Currently, the shooting is in process at Amber Fort. Kangana has learnt to fence for her role, as she has to shoot some fight sequences in the film. It's even rumoured that the actress herself is shooting all the fight sequences and not using a body double for it. 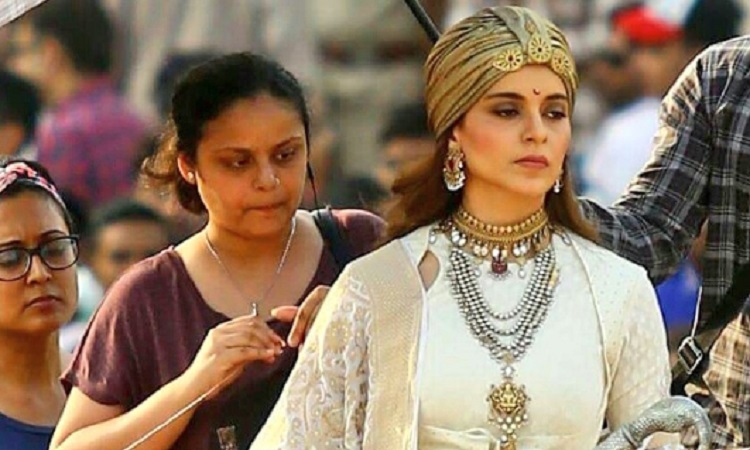 While filming, Kangana got injured on the sets of Manikarnika. Because of the injury, the actress got 8 stitches. 'Manikarnika' is a biographical drama about Rani Laxmibai of Jhansi. The dialogues of the film are penned by Vijayendra Prasad, the same man who also penned 'Baahubali'. The film also stars Ankita Lokhande and Sonu Sood in the lead roles. Ankita is playing Jhalkari Bai, a woman soldier in Rani Laxmi Bai's army who fought as her body double against the British. Sonu who is essaying the role of a warrior had earlier expressed, "It's challenging to play a real life character because you know that it existed in the history and you have certain parameters to follow and stay within. I'm sure when you're working with a brilliant director like Krish, a huge ensemble and a brilliant technical team; there is no way to go wrong. So we are all on our toes to give our best". Manikarnika: The Queen of Jhansi is slated to release on 27th April, 2018. Tell us what do you have to say about these pictures of Kangana?